Many of you know Lisa McFadden’s story and the unique contribution she has made to our community. 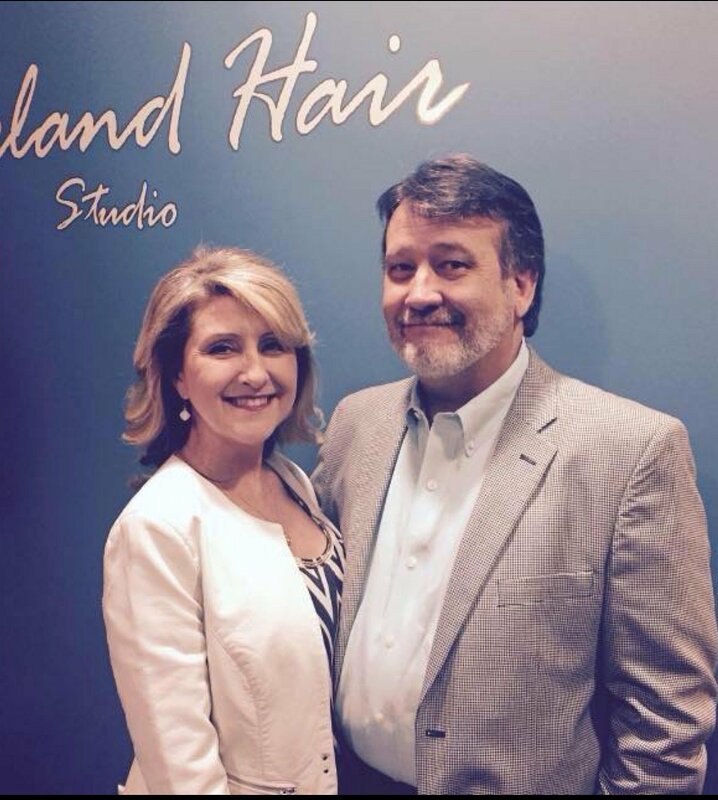 Lisa grew up working in her parent’s hair salon, Kirkland Hair, in downtown Jackson, Mississippi. She and her husband, Jim, now own the salon. About 15 years ago, Lisa began focusing on hair replacement for her clients. One day a young woman suffering from cancer and undergoing chemotherapy came into her salon for help with her hair loss issues. Lisa helped her pick out and order a wig for next-day delivery. When the woman returned the next day, Lisa cut, fitted, and styled the wig. The woman’s reaction was an “Aha” moment for Lisa. When she saw the difference the improvement in appearance made for the young woman, Lisa knew she had found her calling: To help cancer patients feel better by looking better. Since then, Lisa has passionately followed this calling by focusing on the area of hair replacement for chemo patients, working tirelessly with her clients, as well as their doctors and nurses, to find the best solution for each individual patient. Lisa has helped hundreds of women as they journey through the challenges of severe illness. Now she needs our help for her own journey. Lisa has struggled with polycystic kidney disease all of her life, and recently her kidney function has deteriorated to the point that she is facing a kidney transplant. But the costs associated with a transplant are monumental. Even with insurance, transplant-related costs and time away from their business will place a very heavy financial burden on Lisa and Jim. This is why we are asking for your help. To relieve the financial burden of Lisa’s uninsured expenses, her friends have started a fundraising campaign in her honor with Help Hope Live, a trusted nonprofit organization that has been providing community-based fundraising guidance to patients and their families for more than 30 years. All donations are tax deductible to the full extent allowed by law, are held by Help Hope Live in the Southeast Kidney Transplant Fund, and are administered by Help Hope Live for transplant-related expenses only. Please consider a contribution today and click the DONATE NOW button. For more information, please contact Help Hope Live at 800.842.8399. Thank you for your prayers, support and generosity. Keep an eye on this page for information regarding fundraising events and updates on her status. Lisa, I pray for you daily and in my heart I know you are a miracle and will overcome this.